Looking for closure can open old wounds, especially when the wound never stopped bleeding. 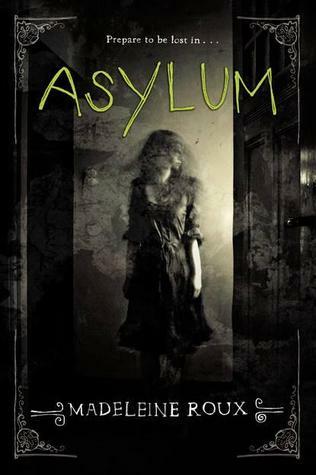 Madeleine Roux lets readers in on a little Brookline Asylum secret in her sequel, Sanctum. And the secret is? The madness never stopped. Dan is still having nightmares where he feels as if he is the old Warden of Brookline Asylum. He's definitely heading for the deep end. Bravely, or stupidly, he decides to return to the place of murder and mayhem for a college tour weekend. I like Dan; I can't really help it. He's a little weird, goofy, teetering on the edge of crazy, but it works for him. And for this novel. Readers will definitely be intrigued by the unsolved mystery that we all thought was solved. However, this book is more about the mystery than the actual character. Roux connected readers to Dan in the first book and since that has been established, the story can move to center stage. Abby and Jordan are still present, and accounted for, in this sequel. Though, they have seemed to distance themselves from Dan to help leave what happened at Brookline in the past. But Dan isn't the only one being haunted. Readers get a deeper look into Abby's love for art and Jordan's mathematical madness in this sequel. The trust these three have in each other is a big part of why readers will feel themselves connecting with the characters. When characters rely on and trust each other, readers feel as if they are reliable and trustworthy. Especially when their crazy theories turn out to be right. 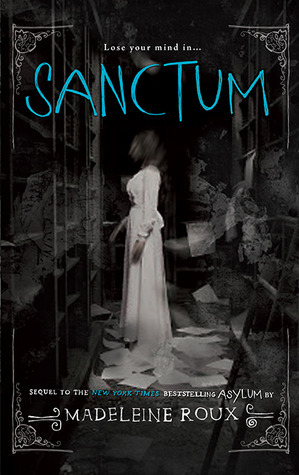 The plot of Sanctum begins with the three teens being lured back to Brookline. Obviously whoever was behind the grisly murders in the first book was not the ghost of The Sculptor or The Warden. There's much more to the story and it's quite intense. Dan, Abby, and Jordan meet back at NHC for a weekend tour to find out, once and for all, what or who is haunting them. This book isn't as gruesome as the first one, with less death and more threats. However, honestly, I was a bit disappointed with the ending as I had already guessed who was the true culprit. And when it comes to mysteries, I want to be wrong for all the perfect reasons.